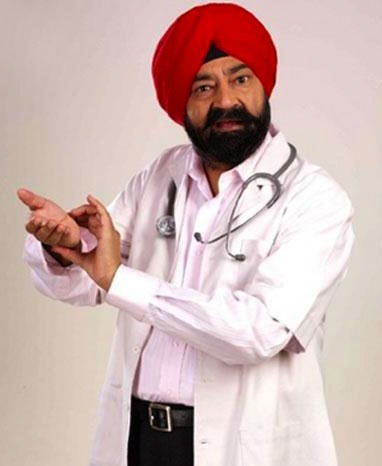 The first time I heard of Jaspal Bhatti I’d already stolen from him. I was nine and trying to make a movie with my best friend, Varun Bahl. We tried hard to write a funny enough script, but nothing quite struck filmable gold — enough to justify commandeering the bulky camcorder — till Varun apparently hit paydirt. Builderon Ki Duniya (The World Of Builders) was a wicked script hilarious enough to impress our parents, and would have been a significant step for two pre-pubescent comics — except, as Bahl soon confessed, his brainwave lay mostly in stealing a plot idea from an episode of Bhatti’s excellent Flop Show, and, for good plagiaristic measure, borrowing a great line (“he doesn’t just add sand to cement, he adds cement to sand”) from the venerable Jaane Bhi Do Yaaron. And yet, despite Varun pulling an AnuragBasu, and the two of us coming up with seriously substandard dialogue, BKD still worked as a script simply because the idea it was built on was so damned terrific. Jaspal Bhatti was a genius. His accessible yet damning satire, his rollicking song parodies, his exceptional insights: they all came together brilliantly as he took on the establishment — and even, at times, each of us — with casual ease. Flop Show and its predecessor Ulta Pulta delivered bonafide laughs laced with vitriol, irony and true wit. Smarter than any comedy for miles around, Bhatti’s shows made us guffaw in unison: quite a feat considering how unwilling we normally are, as a nation, to laugh at ourselves. But the bearded one cut across prejudice and objection with breezy nonchalance, the start of his Flop Show mocking the very idea of opening credits: opening with a grave cautionary note, and — set to a synthesizer-driven band, with an eyepatched man barking like a dog, and a skinny, highly enthused dancer miming out various occupations — it proudly said it was ‘misdirected’ by Jaspal Bhatti. The episodes themselves — invariably featuring Bhatti himself, his wife Savita and the spectacularly talented Vivek Shauq, who passed away last year — focussed on one issue and then doodled around the margins. So he’d take, for example, medical reimbursement claims, and then weave not just a story about faking death, but also create unforgettable characters and arm each of them with fantastic moments. There were just ten episodes of Flop Show, but over two decades after it first aired, it remains fantastically quotable and funny as ever. It’s aged, as Bhatti may well say, like a Sardar: as good as ever, only — looking at the tragically bad television we see around us — it seems heavier now. It’s hard to find an Indian parallel to Bhatti simply because there hasn’t ever been one. His style of humour is drier than we’re used to, and yet completely accessible, unafraid to veer into farce or to steer into serious criticism. The jokes in his shows are like perfect stand-up routines fine-tuned into sketches, then strung together into a show that somehow works through and through. Each of those ten episodes is a side-splitting masterclass. It’s deeply distressing, to us as viewers, that Bhatti never capitalised on his widespread success and never made anything of serious impact after Flop Show. There was no revival, no new show, no feature films of note. Was this Bhatti’s failing? Or was it the fault of current television, that has dumbed down beyond the point of accepting anything with any smarts? All we know is that we lost out. Imagine Bhatti with a show like Louie, one that gave him elbow room to indulge his whimsy, one where he could show us life through his own unique perspective. Imagine the delightfully amiable Bhatti hosting his own late night talk show, zanily riffing with guests he’d picked and constantly taking potshots at them and the worlds they come from. Imagine Bhatti doing one stand-up special a year and being paid the way he deserved to be. Imagine Bhatti forming a Pythonian troupe of inspirationally insane smarts. 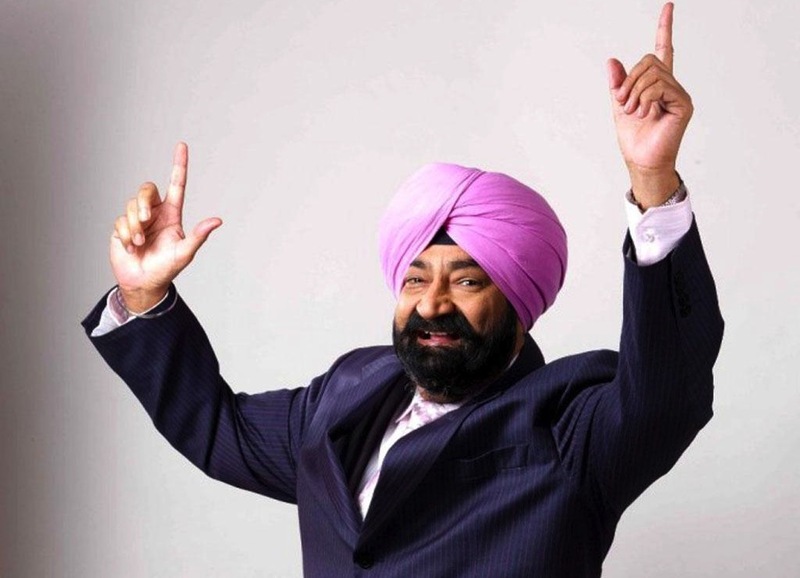 Jaspal Bhatti was too good for Indian television. And if it takes his death and all the eulogies to wake us up to that fact — to jolt our box out of its utter idiocy — he may well have considered it a worthy sacrifice. At the time he died, he was promoting a film about electricity failure called Power Cut, and the least we can do is watch it and wonder what might, or, actually, what should have been. For now, all you, me and Varun Bahl must do when we hear someone say Bhattisaab is dead is to imagine him instead hiding out in the bathroom, eating bananas. It’s what he’d have wanted. Very well written Raja. May the Sardar rest in peace, or can he? Amen! Poignant and beautifully expressed. Thanks!